Before the solemnization, we took a few shots showcasing the Singapore Flyer. Some pictures when it was still bright! Some pictures when the sun was setting! We had an evening solemnization ceremony. Some fun facts from the ROM before I flood you guys with pictures. The capsule can only fit 26 guests. Small and cosy! There is no typical set up of chairs and tables like the usual solemnization ceremony. Instead, we stand. I had my pens engraved. Mr Sim and Mrs Sim for Ching Chong Boy and me. Mama Nad for my mum and Papa Sim for my father-in-law. A little booboo. Ching Chong Boy couldn't untie the knot for the rings on the ring pillow. We had a really fun time reciting our vows. I was scared Ching Chong Boy would pop the champagne in my face. I had two bridal bouquets. One by Shanobyl and one by Denis Flower Shop. I did not even get to eat my canapes in the capsule as I was too busy. The girls found it hilarious when I exclaimed "Oh that's how it looks like after looking at their instagrammed pics"
We had a pink and/or blue dress code! Enjoy the pictures!!! It's extremely image intensive. My apologies! Am waiting for the video, will share it soon! Next entry, the buffet dinner! Posted in Pictures, Wedding, Yours truly.... Tags: Marriage, nadnut, nadnut rom, nadnut wedding, ROM, Singapore Flyer, Singapore Flyer solemnization, singapore lifestyle blog, singapore lifestyle blogger, Singapore Wedding Blog, Wedding Blog, Wedding sponsors on December 23, 2012 by nadnut. 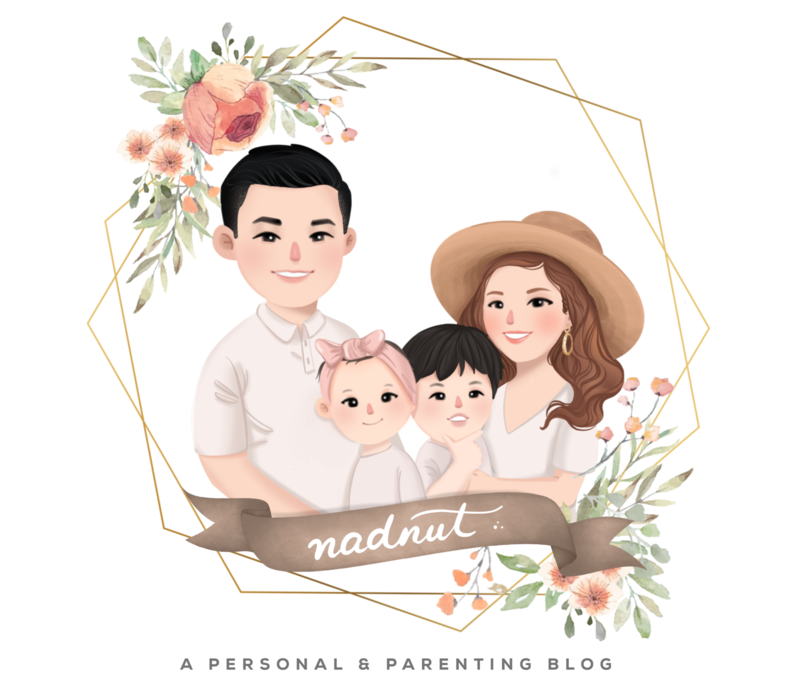 Skai and Nadia’s ROM – The buffet dinner « nadnut.com – a Singapore Lifestyle Blog featuring Beauty, Fitness, Fashion, Food, Staycations, Relationships, Travel, Gadgets, Life and Fun! Hi, I'm interested to know where do you get your "Mr & Mrs Sim" metal tag done? As I would like do one as well.